No quacks here. 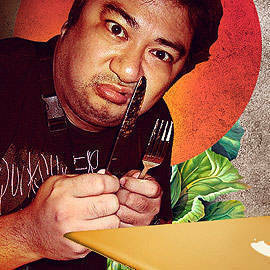 We list the metro's best bets for roast duck. There are two kinds of duck on a Chinese restaurant’s menu: Peking duck and roast duck. What’s the difference? Peking duck is prized for its crispy, lacquered skin while the meat is usually of secondary concern. 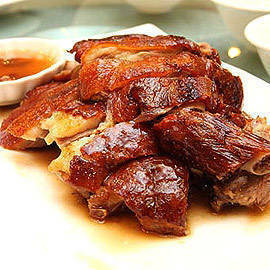 Roast duck, on the other hand, is specifically sought-after for its juicy meat. Peking duck is served with pancakes and scallions, while roast duck is good on its own, or with rice. While both can be served with hoisin sauce, roast duck is best eaten with sweet and sour plum sauce. Whereas Peking duck is considered a banquet dish, roast duck can be served as a starter for a banquet or as part of an everyday meal with a bowl of rice. If you’re a "duck virgin," you might not be able to tell which is which. In that case, we suggest you go ahead and check out these 10 recommended restaurants for a crash course on what makes good roast duck. And for those who do know the difference and think you know places where the roast duck is better than in the places mentioned here, we still say give these places a shot, if you haven’t already. They offer the best definitive version of this dish that all others can be measured against.